I have recently been quite good with not spending too much. Mostly because I got a lot of things for my birthday and thus I don't have much that I need to buy but also because I haven't really been to town since finishing college. However I did win two giveaways and I had a bit of birthday money to spend so I have a couple of things to show you. I found this gorgeous bag in TK Maxx and I fell for the colour - it's described as 'chestnut' and reminds me of autumn (already thinking ahead). I bought this copy of Les Mis in a charity shop for £1. I have been intending to read this for ages and I was pleased to finally find a copy which isn't in French. I also picked up 'A Room of One's Own' which is an essay by Virginia Woolf. I haven't read anything by her before but this looks really interesting. At a school fete I picked up this copy of 'The Lion, The Witch and The Wardrobe' by C.S Lewis for 50p. I love the cover and it looks like it's new. My friend recommends this book so much and I felt bad that I hadn't read it so I decided to give it a go. 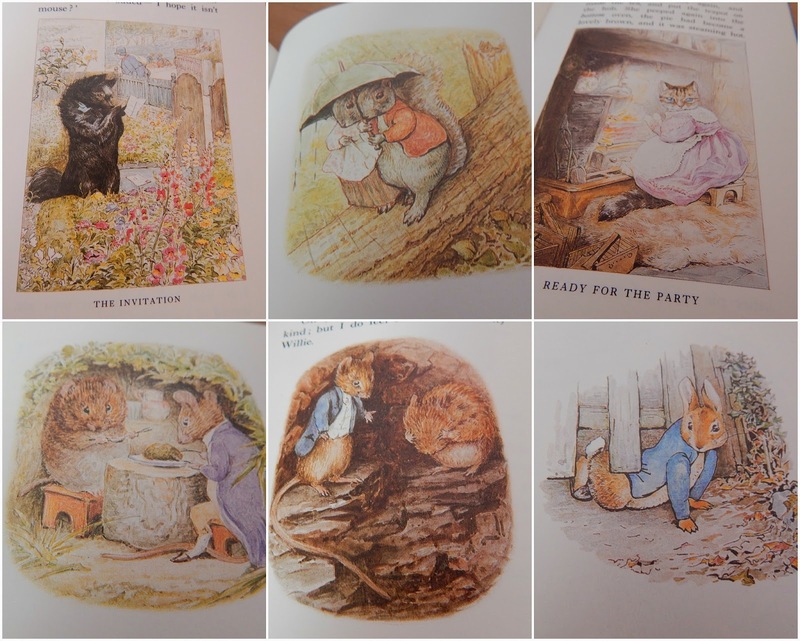 I then picked up this gorgeous collective Beatrix Potter book for just 10p at the school fete - was rather chuffed with it and the illustrations really are adorable! I got this reed diffuser in B&M for 99p as I am trying to collect them for uni due to the annoying no candles policy. The following items I was lucky enough to have won in two separate giveaways run by the lovely Naomi of Oh Hello Mango and the equally lovely Char of t*rexes and tiaras for which I am hugely thankful and suggest you go and check out their blogs now. I am just going to put everything together because I can no longer remember who sent what. Also, for some reason, I forgot to photograph a few things so some stuff is missing. I thought this cute little bracelet was adorable and I am so excited to wear it. These mushroom pegs are one of my favourite things that I got - they are so, so cute! I pretty much think that I am in love with them. Another one on the list of adorable things I love are these cute little felt fox napkin rings. I really do like foxes so these were lovely to receive. I do enjoy a nice face mask so I am interested to see how good these are. I also got these lovely Invisibobble hairbands which are actually amazing! I was worried that they would snap - like many hairbands which have felt the wrath of my thick hair - but these stretch really well but also return to their original shape. They remind me a bit of an old-school telephone cord but they are lovely and I really recommend them. I have now realised that perhaps I did have a few more things to share in this post than I expected - and I didn't even show everything that I won (I will share the other things in my next haul). I hope you will forgive such a long post and that you enjoyed it. your bag does look perfect for autumn, I am a planner too ha ha! Gorgeous post - that bag is just stunning. I adore the colour! Ooh! You picked some wonderful books! I read Les Miserables a few years ago and adored it! I need to find time to read it again. It's an adventure of a book for sure! I might have to try those hair things! Nice haul! The bag is gorgeous. And ugh, the no candles policy at university annoys me too. I would've loved to cosy up my uni room with some nice candles! Great items, thank you for sharing. That bracelet is really cute.